Françoise was born in Belgium in 1953. She studied Urban Design at Columbia University in New York and Architecture in Brussels. She studied art with Robert Morris at NYU University in New York. She has developed her large scale urban works at an international level in Europe, the United States, in South America and in the Middle East. She teaches at the ESAM School of Arts and Media in Caen, Normandy in France. In 2016 she was elected a Member of the Académie Royale des Sciences, des Arts et des Lettres de Belgique . For 30 years she has been dedicated a large body of her work to the dissemination of the human rights within the public realms, in schools and among underprivileged quarters. In 1997, she formally founded the Association Inscrire, an NGO dedicated to the dissemination of citizenships concepts and the Human Rights through innovative participative artworks. With a real belief in the necessary constant reaffirmation of the fundamental base of democratic thoughts, she has been pursuing the construction of her world series of large-scale artistic artworks centered on humanistic issues which has become a most urgent subject in the contemporary 21st century. Schein’s earlier artworks were centered on the mental map-making of places and the multiple layers of information that define cities and their inhabitants. Politically engaged and sensitive to the historical evolution of the human rights, Schein then created an ethic and artistic bound between cities and countries through the many projects that she has built up to today. All her projects have become local landmarks, as well as contemporary monuments in each of the cities involved. Schein believes in the structural bond between kindness, goodness and beauty. She has invented a very humane methodology for the pedagogical production of her works, involving the participation of all kinds of people from a variety of social classes, who are creating with her, major cities infrastructures. Her artistic methodology often involves ceramics, for it is easy to use and has an historical longevity. It is under the cities in their subway stations, in parks and on cities’ walls that she has juxtaposed the 1948 Human Rights text intermingled with images, philosophical and literary texts and cartographies of the local culture and history, produced with the active participation of the people. She has collaborated with many intellectuals, artists, sociologists, educators, philosophers in the world. 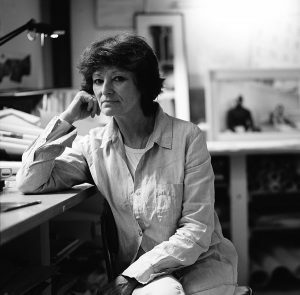 With the Association INSCRIRE or alone, Françoise Schein has produced a large number of monumental artworks among which there is: the subway Station « Concorde » about the French revolution in Paris (1989-90), the subway station « St Gilles » in Brussels (1992) about the the Human Rights and the European borders, the subway station « Parque » in Lisbon (1994) about the the Human Rights and the « Portuguese discoveries around the world in the middle age, the façade of the » Judeo-Arab Cultural Center » in Haifa, Israel (1993) about peace, the subway station « Universitetet » in Stockholm ( 1998) about the Human Rights and world environmental issues, the subway station Westhafen in Berlin (2000) about the Human Rights and people’s migrations issues , the a “The Garden of the Human Rights at the Rhododendrons Park” in Bremen ( 2001) the subway station Siqueira Campos in Copacabana, Rio de Janeiro ( 2003) about the Human Rights and slavery and racism issues. On the façade of the Municipal theater of Ramallah, in Palestine, she created the project “ A City as a tree for Human Rights (2009). In 2017 she is finalizing the Luz subway station in Sao Paulo about the relationship between human rights within the context of Brazilian History. In 2016, in Brussels, she created Le Grand Banket, a major public art piece conceived as a public Banquet with the participation of local inhabitants. Since 2000 starting in Rio de Janeiro Brazil and all over the world in Belgium, France, Israel, Palestine, Germany, England, Portugal, Spain, Uruguay, Haiti, she has created a permanently growing project named “To Write the Human Rights in school classes and on the walls of cities”. This project is produced with the active participation of school youngsters who with her methodology, learn the Human Rights concepts through their own art making. More than hundreds of these small ceramic artwalls have been created. In 2017, she is finalizing the production of such a project in Port-au-Prince in Haïti. From 2003 until today her teams based in Rio de Janeiro, in Sao Paulo, in Brussels and in Paris have created many of theses urban projects with youngsters of secondary schools of underprivileged population of the slums (favelas). Françoise Schein has written a Tool Kit to give to school teachers. It exists in French, Portuguese, Spanish and English. In Coventry England (2005), she built a large scale urban art project called “The Time Zone Clock”, a giant floor clock conceived after the time zone system, made in stainless steel and lights. Nearby Paris, in Les Mureaux, she has created Murmures a large public ceramic pieces produced with the participation of the inhabitants. On and around her projects, she works on her individual artworks with multi media, sculptures and photographs, drawings, videos and artist books. She has exhibited her works and her collaboration with Inscrire in museums in Europe, Brazil and the USA. A great amount of press has been written both about her and about INSCRIRE’s productions. LIFE IN RIO AT THE TIME OF JEAN BAPTISTE DEBRET, a monumental participative artwork about slavery in the harbor zone of Rio. NAN ZAFÈ DWA MOUN, TOUT MOUN NÈT EGAL EGO, Port-au-Prince, Haiti. O CAMINHO DOS DIREITOS HUMANOS, begining of an on-going series of small urban atworks on citizenship in the favelas of Rio, Brasil and in the cities and villages of Europe. More than 100 have been buit so far. CARL VON LINNE or the ART of LOOKING, Stockholm, Sweden. DESCOBRIR PARQUE , Lisbon, Portugal.